One of our new 4 part surrounds, the Islington is both fully upholstered and luxurious. 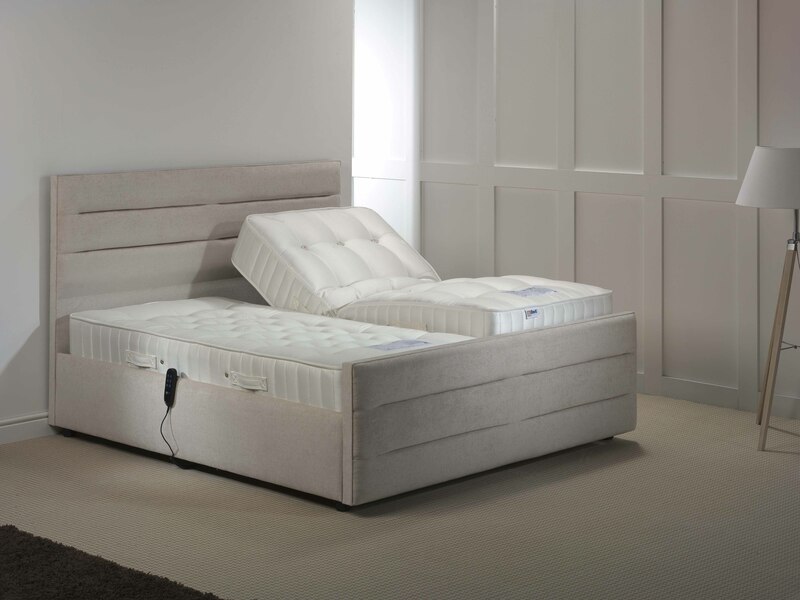 The 4 part surround allows access through the smallest access points and incorporates a deep padded headboard and footboard to add a touch of elegance to any bedroom. Finished in a selection of upholstery fabrics, or a classic Gold Damask, the Islington surround is practical, adjustable and complements the wide range of mattresses we proudly manufacture in the UK. Simply choose the size and fabric of your surround followed by your choice of mattress filling and we will take care of everything else.